Nabertherm not only offers heat treatment furnaces, but also an extensive range of hardening accessories. Hardening accessories include annealing boxes, charging plates and foils. Pliers, gloves and protective caps are as much part of the hardening accessories as wires. The range for hardening accessories is completed by annealing pellets and quenching oil. 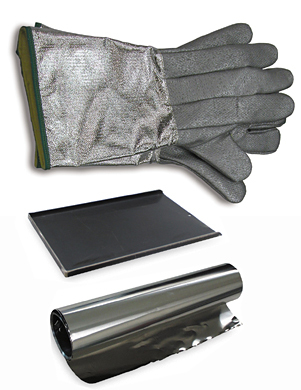 Further information on Nabertherm hardening accessories.